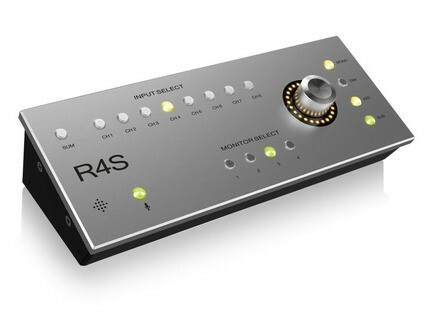 R4S Remote Control, Monitor Controller from Antelope Audio. Antelope Audio will introduce at Summer NAMM in Nashville this week a new remote control for their Satori monitoring controller. The new Antelope Audio R4S Remote Control allows for switching, from your desktop, the 8 channels of the Satori monitoring controller as well as the MP8d 8-channel mic preamp. The USB-powered box features buttons for input, summing bus and 4-channel monitoring select, as well as Mono, Dim, M/S and Sub features that can be adjusted via the single large knob. A built-in mic is also available for talkback purposes. The R4S Remote Control for Satori is expected this month of July for the price of $299. A small update for the UAD Software Universal Audio released update 8.2 for the UAD Software in order to offer all users the Precision Mix Rack collection. Universal Audio offers a UAD-2 Quad DSP card This summer, Universal Audio offers a UAD-2 Quad DSP Accelerator card to anyone who purchase a 6176 Vintage Channel Strip. Bug Brand’s CrossOver Filter is back Bug Brand announces that new models of its CrossOver Filter module are back for sale on his webstore.